The Police Psychology Unit (PPU) is a dynamic team of psychologists and social workers whose role is to support, enhance and develop the psychological wellbeing of Victoria Police employees. 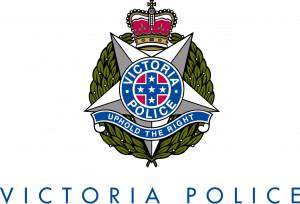 Victoria Police recently conducted a Mental Health Review and is currently focused on implementing its recommendations. As part of this review the PPU was allocated a number of additional positions and this is consequently an exciting opportunity to be involved in a period of expansion for the Unit. The team works to ensure that Victoria Police officers are well equipped to manage the varied psychological demands of their roles, and requires Unit members to have a diverse skill set of clinical and organisational skills. This includes: a 24-hour on call service and the position consequently attracts an additional on-call Incident allowance for participating in an on-call roster. Providing organisational services to a diverse range of work areas across Victoria Police, including the development and implementation of evidence-based psychological programs that are targeted to specific work areas. This often involves training, as well as the provision of consultation and coaching to managers across Victoria Police. Providing clinical services, including: triage, psychological assessment, short to medium-term psychological treatment, complex case-management and secondary consultation for Victoria Police on a range of mental health issues. This also involves the provision of immediate and autonomous clinical judgment in crisis situations and critical incidents, including the participation in a 24-hour on-call service as required. Providing Subject Matter Expertise to a range of projects, policies and programs across Victoria Police. 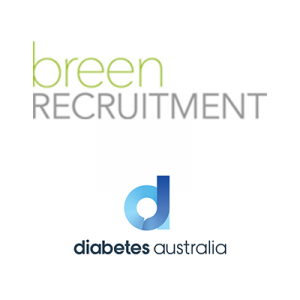 This may include participating in projects from the Mental Health Review program of works to ensure that the Review recommendations are successfully implemented across the organisation. Highly developed written, verbal communication and presentation skills, with the ability utilise these skills to provide advice, conduct research/project work, facilitating training and to effectively influence a broad range of audiences including senior management. Possession of high level expertise in evidence-based critical-incident responses. Possession of high level clinical expertise and demonstrated ability in the provision of: triage, psychological assessment, treatment and case management for a range of mental health disorders. Possession of high level expertise in psychological program development. Registration as a Psychologist with the Psychology Board of Australia under the Australian Health Practitioner Regulation Agency (AHPRA). Registration number must be provided. Eligible for membership of the APS. Registered as a Social Worker with the Australian Association of Social Workers (AASW). Proof of registration must be provided. Possess a current Victorian Driver Licence. Participate in a 24-hour on-call service as required. Please quote in application: Psychologist (VPSG4) via Pro Bono Australia.